Hi everyone, Donna here and today I am so excited to share with you a card that I made for the Quick Quotes and Petaloo blog hop. The new flowers from Petaloo are amazing and I don't have to tell you how awesome Quick Quotes paper is, what a perfect match! So without further ado, here is the card I made! This new collection is so pretty, the colors are amazing and Petaloo have butterflies, leaves and trim to match. Don't the colors of the Quick Quotes paper and Petaloo look great together? Now be sure to hop on over to our very talented friends at Petaloo to see the amazing inspiration they have for you today! Beautiful card! Absolutely loving those flowers!! Lovely card. Those flowers look amazing on there. Such a bright and sunshiny paper for your project. Thanks for sharing with us. The flowers look like a bouquet on a card. the papers complement them so well. The flowers and trim are just so lovely! I did not know Petaloo made butterflies. 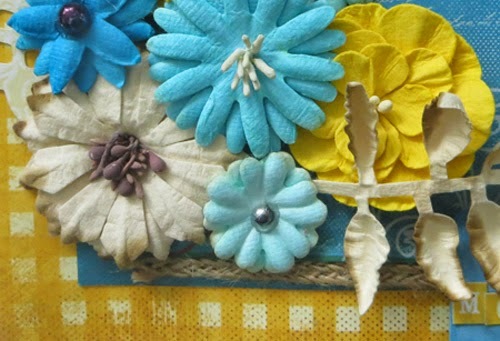 The combination of paper & embellishments is just so lovely & elegant! Great! Love all of the products and projects. TFS. This is just so lovely - beautiful colors! Wonderful card! Love the colors! Petaloo and Quick Quotes - a wonderful combination! Thanks for sharing! Love all your colors and layers, so happy! Oh my! The flowers and colors are fabulous! 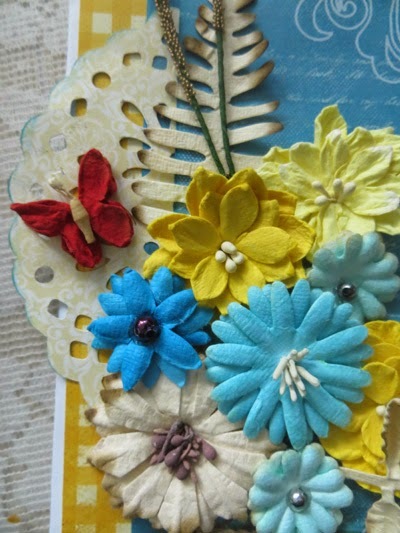 Love the way they are clustered on the card with the sweet butterflies. Love the foliage and butterfly on this card! 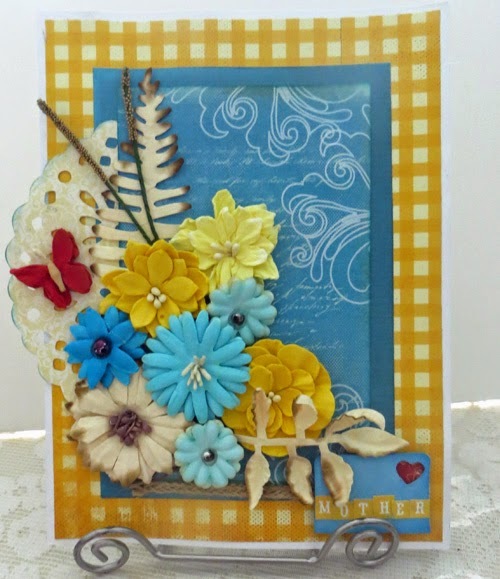 Wonderful colors - what a bright happy card! Such cheery blossoms and colors!!! Lovely card! !